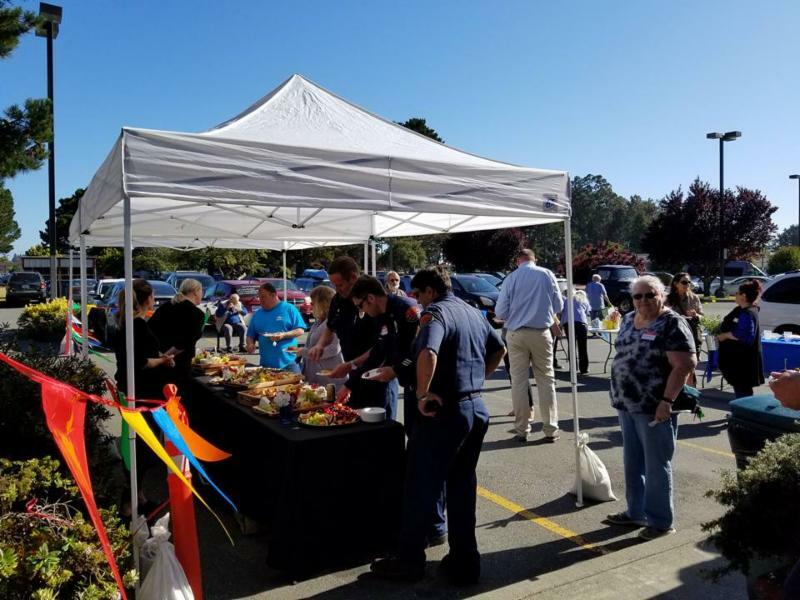 There was a great turnout to share in the grand re-opening and ribbon cutting festivities at HealthSPORT in McKinleyville! 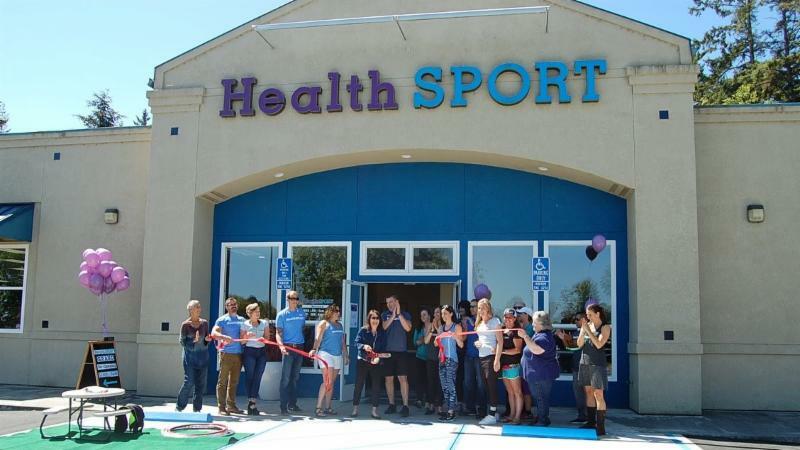 HealthSPORT CEO Susan Jansson did the ribbon cutting honors. Stop by today to find out all they have to offer. They now have a 24/7 fitness area available! 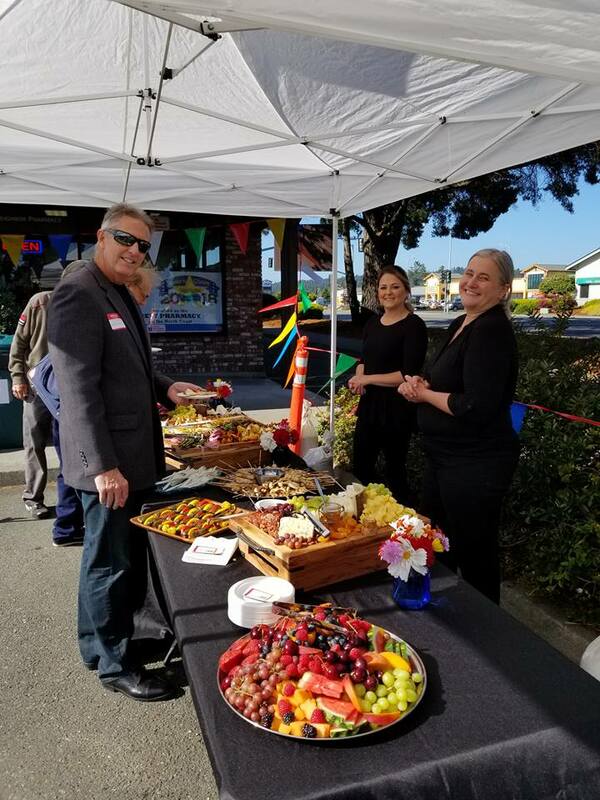 The beautiful flower basket project along Central Avenue would not be possible without every business that sponsored a total of 54 baskets. 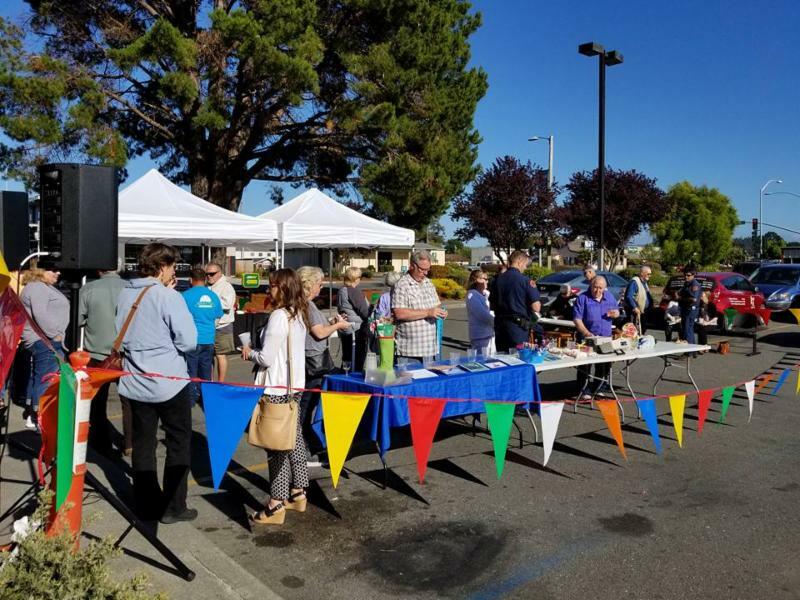 Thank you to these generous businesses: BLR - In Memory of Savanah Kindred & Kendra Lewis (2 baskets), Coast Central Credit Union (2 baskets), McKinleyville Shopping Center (2 baskets), Miller Farms Nursery (2 baskets), Wes Green Landscaping (2 baskets), AAA Storage, Azalea Realty, Cher-Ae Heights Casino, Cloney's Pharmacy, DMC Construction, Edward Jones - Sara Goodwin, Essential Elements Wellness Spa & Sauna, Eureka Natural Foods, Eureka Payments, For the Love of Our Town - HW, Grocery Outlet - McKinleyville, Hooven & Company Inc., Humboldt Sanitation & Recycling, Jackson & Eklund, Kiwanis Club of McKinleyville, Linda Sundberg Insurance, Loyal Order of the Moose, Lube Central, Mad River Community Hospital, McKinleyville Animal Care Center, McKinleyville Glass, McKinleyville Lions Club, McKinleyville Skate Park, Ming Tree Realtors, New Heart Community Church, New Trend Wireless - US Cellular, Northcoast Horticulture Supply, Pacific Earthscapes, Pacific North Western Biological, Redwood Animal Hospital, Redwood Capital Bank, Satori Wellness, Sequoia Gas Company, Six Rivers Brewery, St. Joseph's Health, State Farm - Heather Vina, Steve's Septic Service, Sundberg for Supervisor, The Club for Fitness, The Richard's Family, Tracy Helard-Shumard / Forbes & Associates, Tri Counties Bank, Umpqua Bank, Wright Management Services. 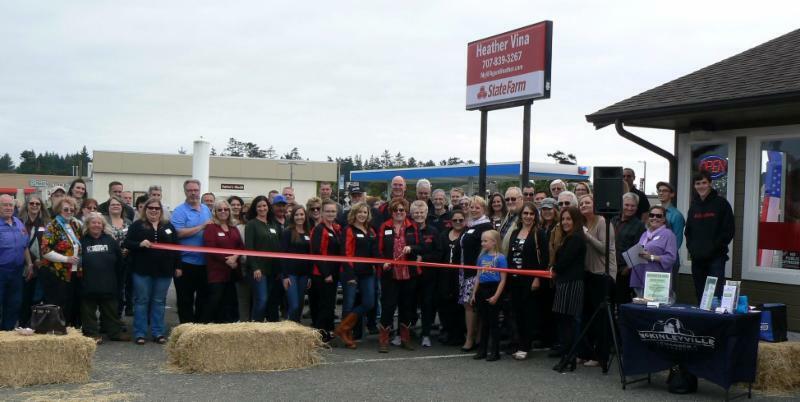 Dozens of well wishers turned out to welcome Heather Vina as the newest State Farm agent in McKinleyville on May 24. She is investing in our community with her "Quotes that Care" program. Stop by 1631 Sutter Road for more information. 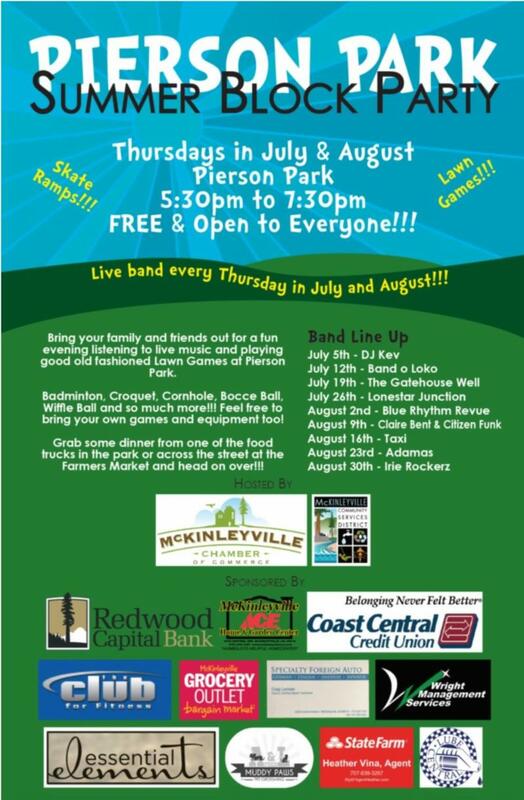 Mixers are held the 4th Thursday of every month from 5:30 to 7:00 p.m.
November's mixer is the 2nd Thursday.